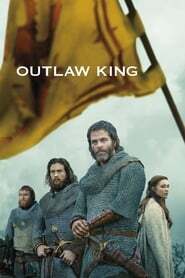 Plot: Forced into exile by the English after being crowned King of Scotland, legendary warrior Robert the Bruce fights to reclaim the throne. Looks good this one. Out on the 9th November on Netflix. This bored me senseless. A totally uncinematic story told in the most technically and stylistically bland way imaginable. It's amazing how much money went into this ($120 million!!) yet it still ends up feeling like a tv movie. The director seems to have prepared for it by studying Game of Thrones episodes. Interesting enough, I didn't really know anything about Kildrummy Castle or the Loudoun Hill battle and it was quite entertaining. Found it strange though that it ended after Loudoun Hill (1307) when surely the greatest triumph of Robert the Bruce and bigger story would have been the Battle of Bannockburn in 1314? I think I read somewhere that there were elements of the Bannockburn battle included in the Loudoun Hill one - probably the use of spikes and spears to thwart the horses.